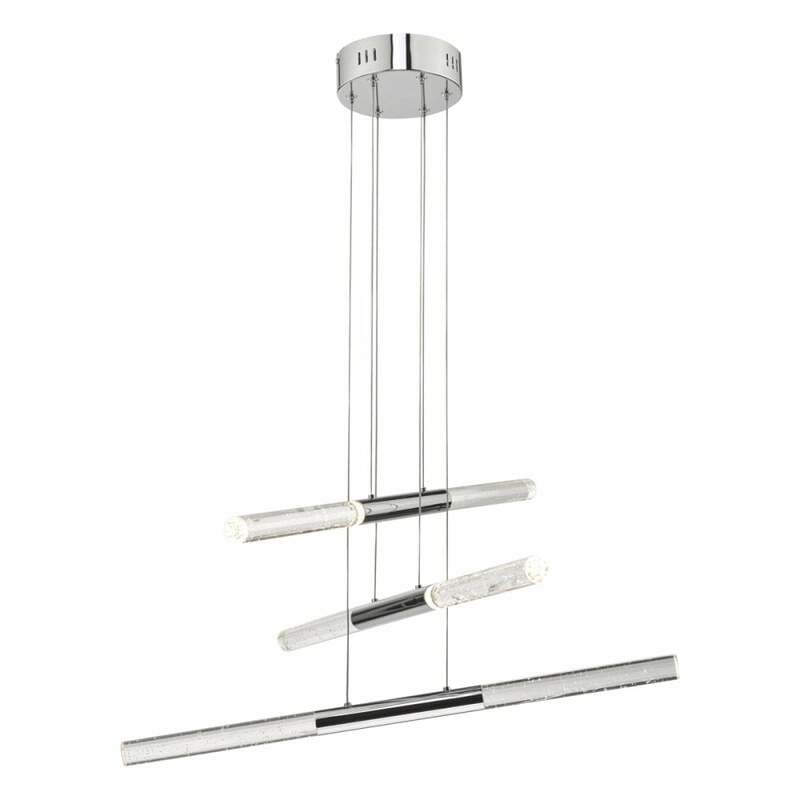 Dar Lighting Egan 6 light cluster pendant features a circular ceiling plate with thin suspension wires holding 3 cylindrical polished chrome and clear glass tubes with bubbles effect. The product code is EGA6450. This stylish cluster pendant will sit well in both modern or contemporary decors. The LED tubes can be positioned at different heights as required creating an individual look for your home. Double insulated and can be dimmed when used with a compatible LED dimmer switch. A wide range of LED pendants can be viewed on our website.